Feedback from film studios, entertainment brands and music publicist clients incorporated into streamlined v5.0. DMS has today announced a major update to our international media intelligence platform. 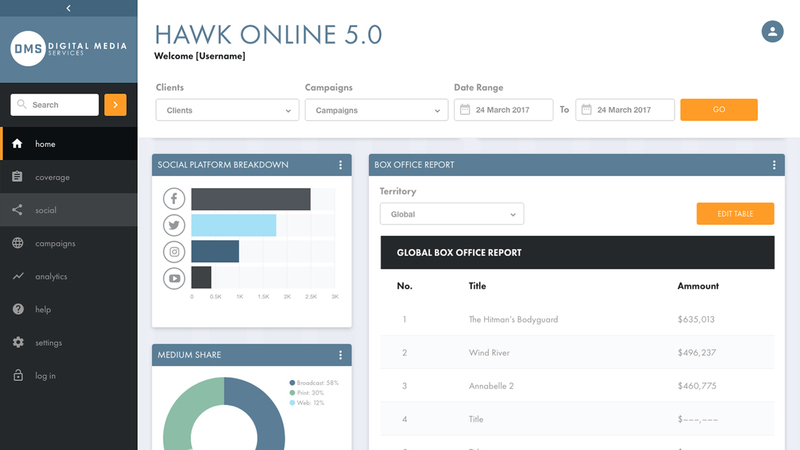 HAWK ONLINE ® 5.0 provides the entertainment industry with extensive monitoring, reporting and analysis across press, broadcast, online and social media. Used by major film studios, entertainment brands and music publicists, HAWK ONLINE ® brings invaluable real-time updates across over 20 territories. 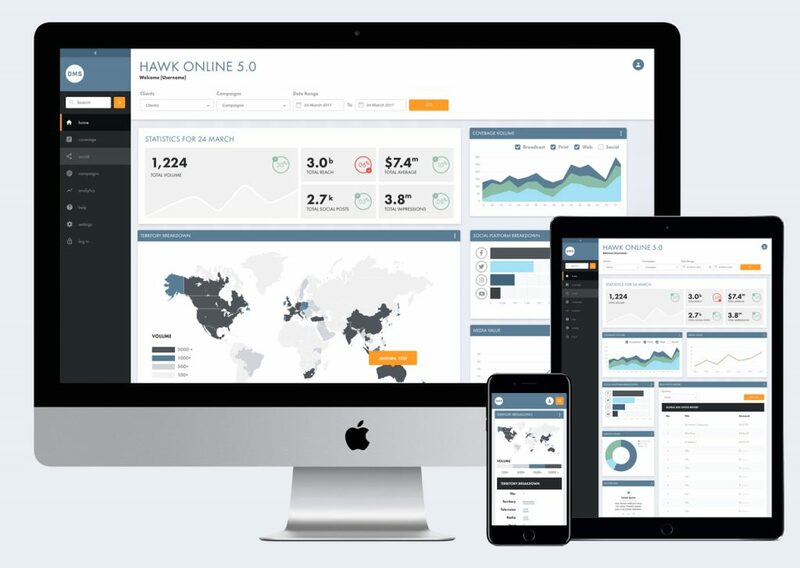 From smoother user functionality and experience, to advanced reporting and analytics, HAWK ONLINE ® now gives a wider campaign overview for easily digestible results. 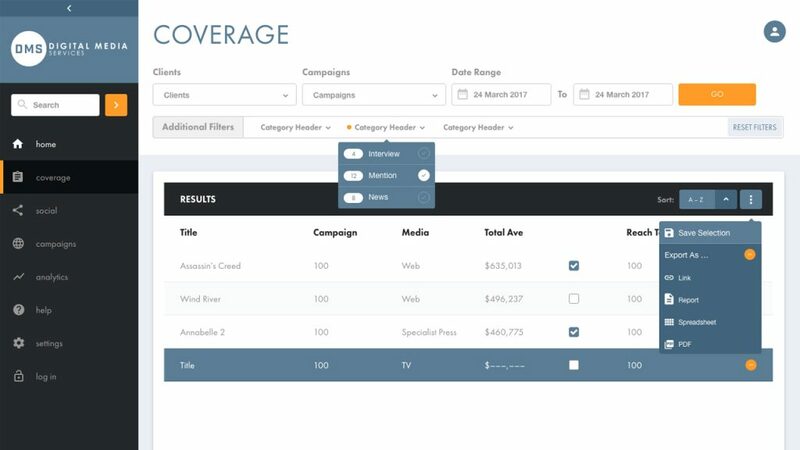 Its update also allows users to pick snapshot campaign analytics of their choice, including immediate global overview, media value, reach, social coverage and territory breakdown. The update replaces the existing platform and will be available to all HAWK ONLINE ® users. What does this update mean for HAWK ONLINE ® users? RM: Users will now have a smoother experience with intuitive navigation and speedier processing. We will be pulling in further data sources including social media, which will be available on HAWK for the first time. 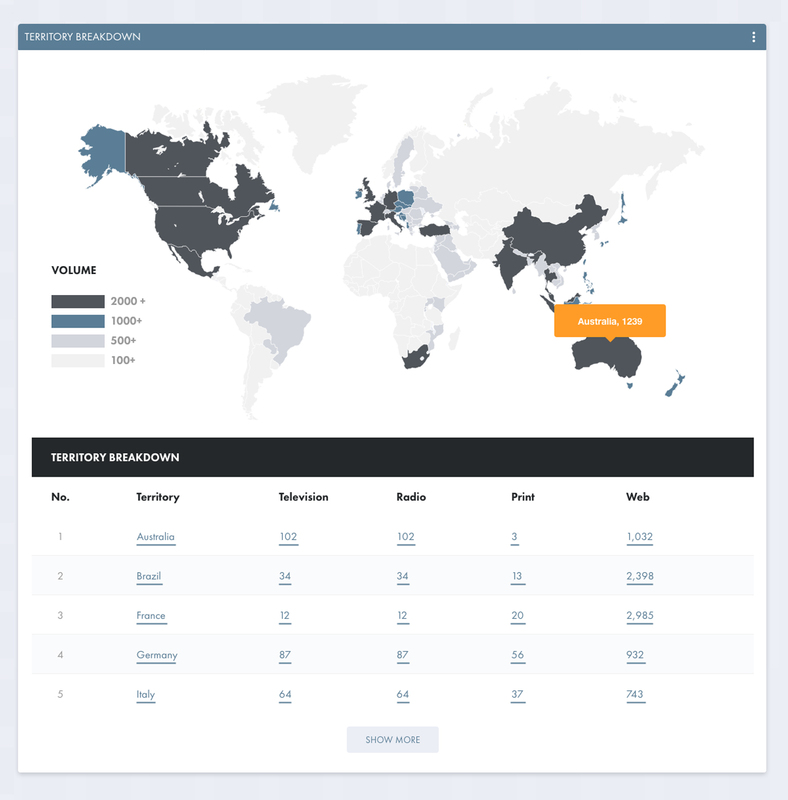 Visualisations of key metrics such as AVE and reach will also be available to export. How has the platform evolved to meet changing customer needs? RM: Our clients were a key factor in developing the platform; we listened to their feedback and implemented the features that would improve their user experience and help streamline their workflow. The increasing demand for data and data visualisation was also central to our thinking. RM: The initial concept was created by key members of the Media Intelligence team. This incorporated feedback from clients and a wish-list of new, useful features. We then engaged our colleagues at sister company AKA to help design the interface so it was in-keeping with DMS’ brand identity. Once the concept and design were in place, we took the project to our developers, Blackfish, who have built the platform using a widget-based structure. Intensive testing has been carried out by the wider Media Intelligence team ahead of the May roll-out to ensure a seamless transition. Tell us more about the advanced reporting and analytics now available? RM: Users will be able to quickly export data via the platform and easily report metrics such as AVE, reach and sentiment. Further features to be introduced include being able to compile key coverage highlights reports which can then be distributed easily to stakeholders like filmmakers and talent. We also have social media data available on HAWK for the first time and will be reporting on sentiment, key influencers, number of engagements and potential impressions. Furthermore, we will be reporting box office data directly via the platform. Have any users seen the latest updates yet? RM: We previewed the platform to key clients on a recent trip to the US and the reaction was extremely positive. We firmly believe that HAWK ONLINE ® 5.0 will be the most advanced and user-friendly monitoring tool on the global market.